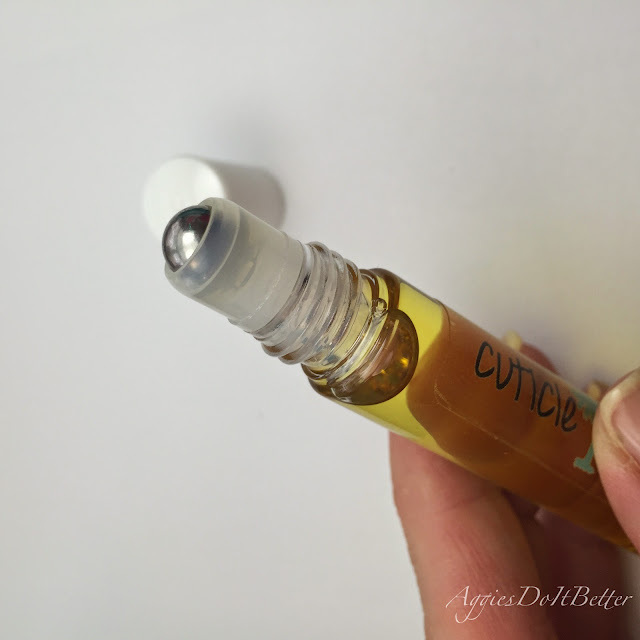 Aggies Do It Better: Cuticle Glaze oil review! Hey guys! Wow! It's been a while :( My last published blog was over 2 weeks ago!) It feels longer than that. Right from Christmas I just got super busy preparing for the holidays and getting gifts for a Secret Santa Exhange I was in (do yall want a full post on that?) and just the way life seems to explode with business when December 1st hits. Then last Tuesday I decided to trip and break a bone. my poor toe. My first broken bone ever! And THEN 2 days later I came down with a crazy stomach virus that kept me in bed all weekend. Sheesh! So I'm way behind on things and I won't be back to blogging super regularly until after the holidays, probably. But I have a few up my sleeve! Today I have a review! My friend Danele over at Low Country Lacquer started tinkering with oils this summer and came up with a really awesome cuticle oil! She gave some to me and a few others to try out for a while. And let me tell you, it's awesome! It's all I have been using pretty much since then. She has finally decided to start a business selling it and SO that's where I come in to tell you how fantastic it is. Be sure to read all the way to the end for a surprise! Her oil comes in 2 packages... an 11ml roller ball tube (plastic) and a 15ml glass bottle dropper. Scents you can choose from are: Unscented, Glazed Christmas Cookie, Glazed Lemon, and Sugar Glaze. She sent me an unscented (dropper) and Christmas Cookie (roller ball). Here are what my (unpainted bleh) nails look like after a weekend of malnourishment and a morning of running errands in the cold. Shame on me! This is what the roller ball looks like. To apply with roller ball, just swipe over cuticle area in half-circle motion. I have to say, the oil comes out quite well in this roller ball. 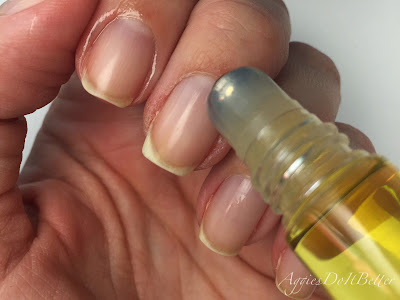 I have one other (off-brand) roller ball oil and I have a hard time even getting the thing to turn! So slather it on, don't be shy! or like this. I usually do it with my hand facing me. Then just use your other hand to massage it in. 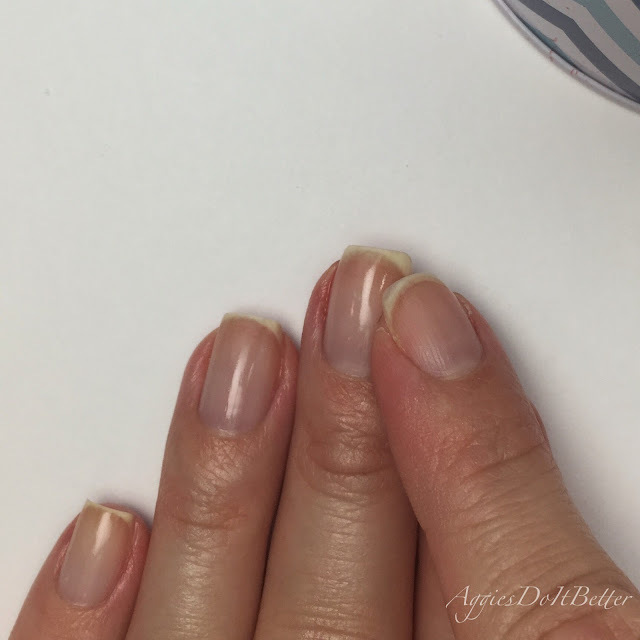 Use half circle motions around the base of your nail. 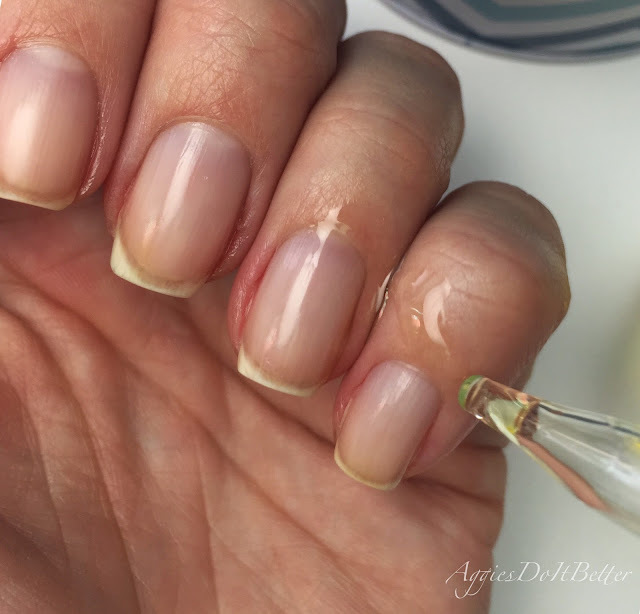 If your nails are also free of any type of polish or base coat rub it into your nail too! 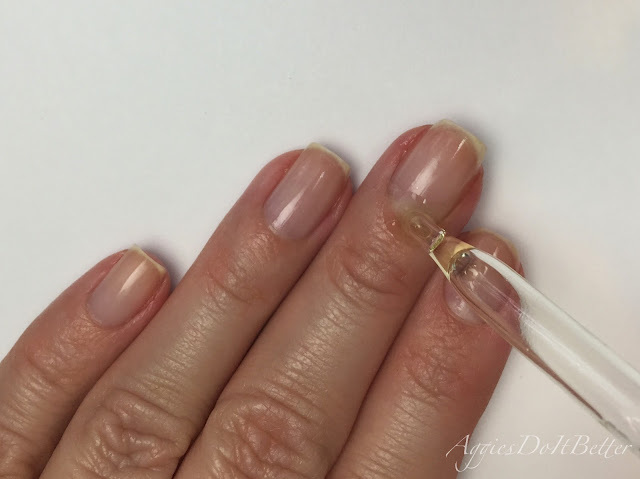 It will absorb and is really good for your nail plate. I usually lay it on thick and rub the rest of it into my hands. Yall. I promise I wouldn't say this is awesome if it isn't. Fun fact: since I've had her original prototype since the summer it is what I use to hydrate my hands right before I take pictures of swatches. It absorbs quickly and doesn't leave your skin shiny like my Burts Bees Lemon balm does (which I like too, but. Shiny.) So if you've been wondering what I use this is it! As far as the scents go, the Christmas cookie one is my favorite I've tried. The scent doesn't stay on your hands all day like lotion, just long enough to enjoy while you're using it. 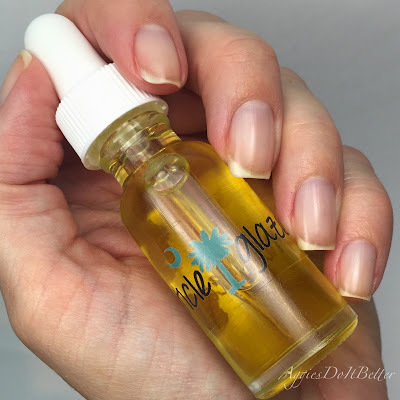 Hand-mixed, UNSCENTED cuticle oil including: jojoba, avocado, sweet almond, and shea oils. No preservatives, not tested on animals. This product contains no fragrance. 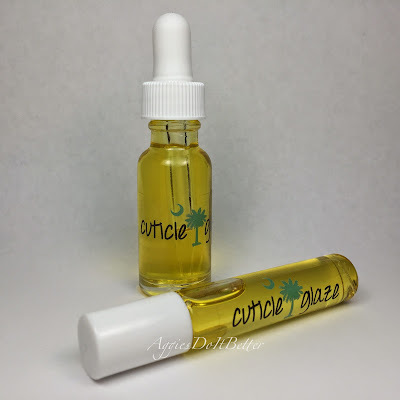 Hand-mixed, scented cuticle oil including: jojoba, avocado, sweet almond, and shea oils. This fragrance contains notes of caramel, cream, a hint of nutmeg and praline. It also contains base notes of cocoa and vanilla. This fragrance smells yummy enough to eat! No preservatives, not tested on animals. This product contains fragrance oil. Thanks and see yall again this week I hope! 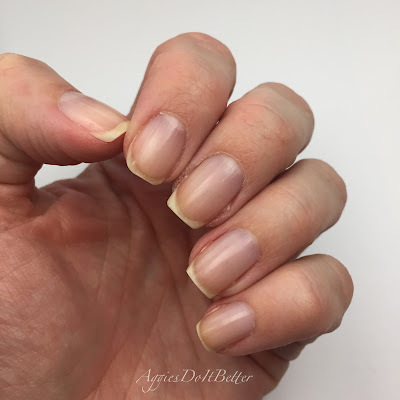 Ornament nails inspired by Design Seeds!